Every home is unique in its own way. 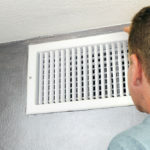 That is why the first step in our Air Duct Cleaning process is always to do a thorough inspection of your home. Once our technician arrives on the scene he will examine your air ducts for several things. He will figure out the number of Air Ducts you have in your home, see how dirty the air ducts actually are, and from there determine what the best solution is for your home. Only after giving you a fair price estimate will he start the job, as long as you agree to the price quoted. Here at Organic Air Duct Cleaning we believe that in order to grow a business, you have to provide a useful service at a reasonable price. That is why most of our customers refer us to others and use our services if they ever need to again. On top of helping you reduce your heating and cooling bills, Organic Air Duct Cleaning services takes vital steps in ensuring you breathe in cleaner air within your home. That is why we are committed to only using all organic, all natural cleaning solutions. The air ducts are like the lungs of your home. They circulate air throughout your home while filtering and keeping the air you breathe fresh. That is why it is important to make sure that if you decide to clean your air ducts, you do so using cleaning solutions that are healthy to breathe. Call Organic Air Duct Cleaning today and find out why we are the number one Air Duct Cleaning crew in the Dallas area. Friendly and reliable customer service. Organic Air Duct Cleaning ! That’s who!